Photos of two suspects were released by Cherry Hill Police earlier this week. Cherry Hill Police are asking for the public’s help in finding a pair of theft suspects. 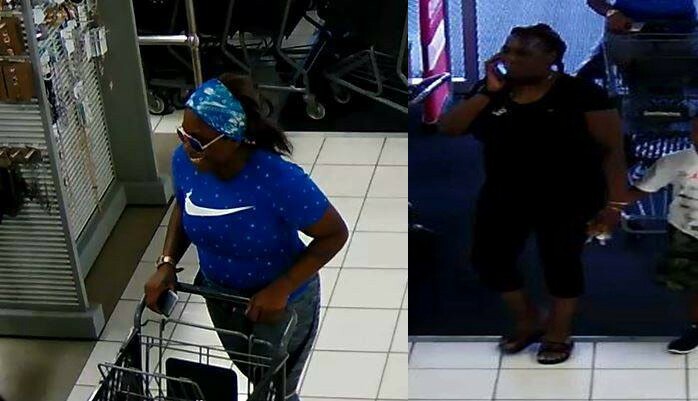 Police have released two surveillance photos of women who have been identified as theft suspects for an incident at the Burlington Coat Factory on Route 70 in Cherry Hill. One woman is depicted wearing a blue shirt with a Nike logo on the chest, sunglasses and a blue headband. The other suspect is dressed in a black shirt and black pants. Anyone with information on the two suspects is asked to contact Detective Leone at (856) 432–8827 or tleone@cherryhillpolice.com.